Hotties! I snuck some new stuff into the shop….here it is! Villainess has brought a lovely little late winter collection. These will be available at The Rhinestone Housewife while supplies last! 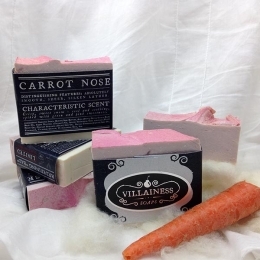 Carrot Nose Soap-Crisp, sweet snow – cool and soothing, spiked with green and pink sweetness. 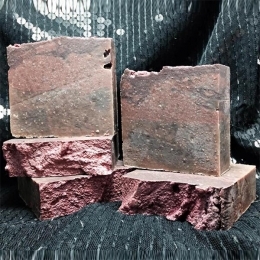 Chasm Soap-Cavernous, smokey dragon’s blood with a chitinous edge. 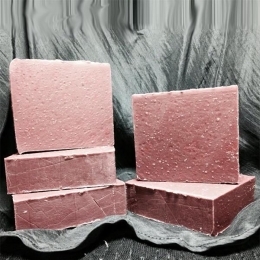 Corpuscular Soap-Blood red roses and thorny greenery. 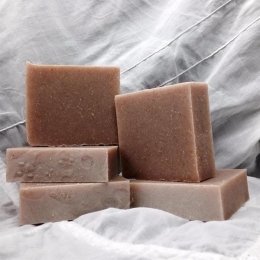 Dentition Soap-Orange peel, lime juice, and a sharp bite of juniper. 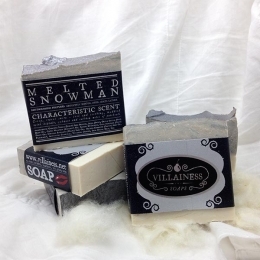 Melted Snowman Soap-Crisp, sweet snow – cool and soothing, muddied with asphalt, exhaust and earthen notes of patchouli. 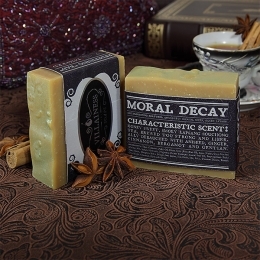 Moral Decay Soap-Honey sweet, smoky lapsang souchong tea, brewed too strong and liberally debauched with aniseed, ginger, cinnamon, bergamot and gentian. 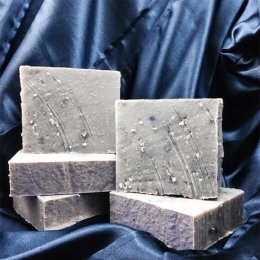 Typhoon Soap-Coconut meat, sticky mango juice, and melon spiked with sheer white mint.